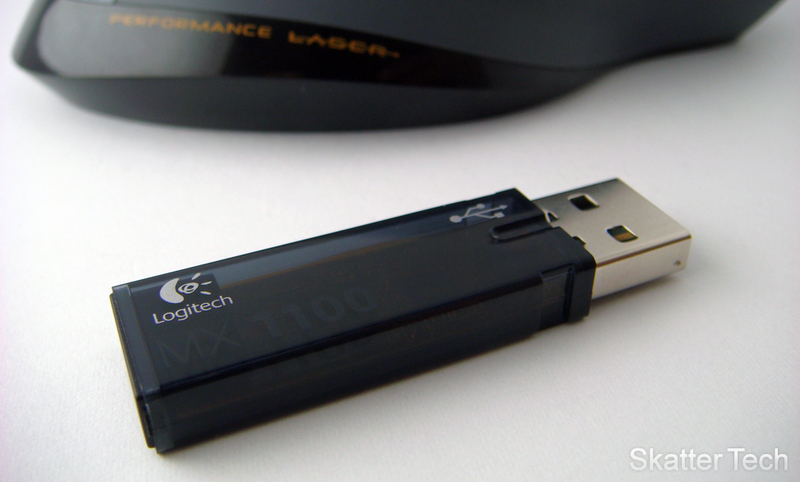 Late last month, Logitech announced the MX 1100 Cordless Laser mouse. It can be seen as an upgrade to the MX Revolution, which was probably the “king” of wireless mice, but had been on the market for over a year without any updates. The MX 1100 is a bit larger than an average mouse, but it’s ergonomic and versatile with many features that will not disappoint. The best part of the MX 1100 is the large amount of buttons it features without becoming overwhelming for those who don’t plan on using anything past the essential ones. The mouse is a bit larger than an average sized mouse, but is quite comfortable to use and both the left & right click buttons provide great tactile feedback. A button below the scroll wheel allows switching between a “notched scroll” and a “frictionless scroll”. The standard “notches” setting lets you feel each bump while scrolling, whereas the “frictionless” setting allows flicking through pages rapidly. The scroll wheel supports 4-way scrolling, so leaning it to either side will allow scrolling in that direction. Pushing in the scroll wheel functions as a middle-click, which is great for opening links in new tabs. 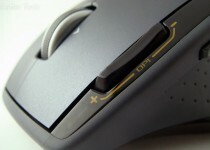 A plus and minus button at the top left of the mouse allows increasing or decreasing the DPI settings to adjust sensitivity. It’s quite neat to be able to change the sensitivity at anytime without having to dig through the Control Panel. Directly above the thumb rest are the forward and backward keys. Although well placed, they were a bit too soft to offer enough feedback in my opinion. 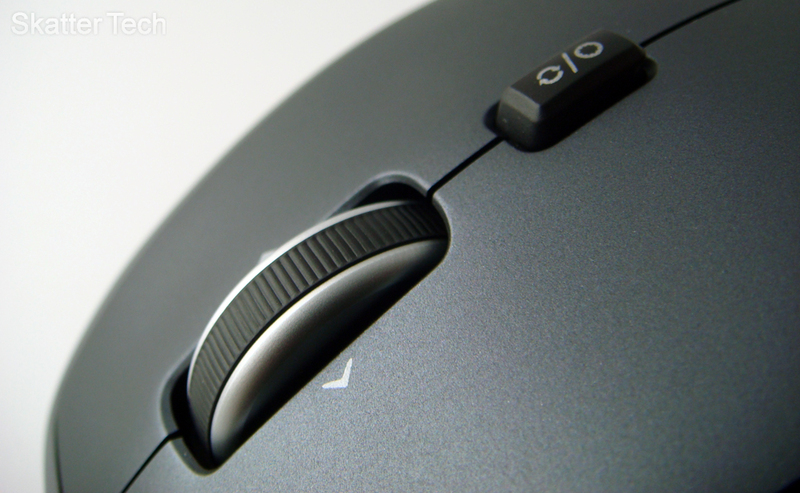 The final neat feature is the “stealth thumb button”, located in the thumb rest, which has been configured by default to launch Vista’s 3D flip interface to switch between open windows. And as always, installing Logitech’s SetPoint drivers and software will allow customizing any button to do just about anything you would like it to do. Despite being a wireless mouse, the device maintained a strong connection with the transmitter. There were no problems getting it to work from even over 20 feet away. 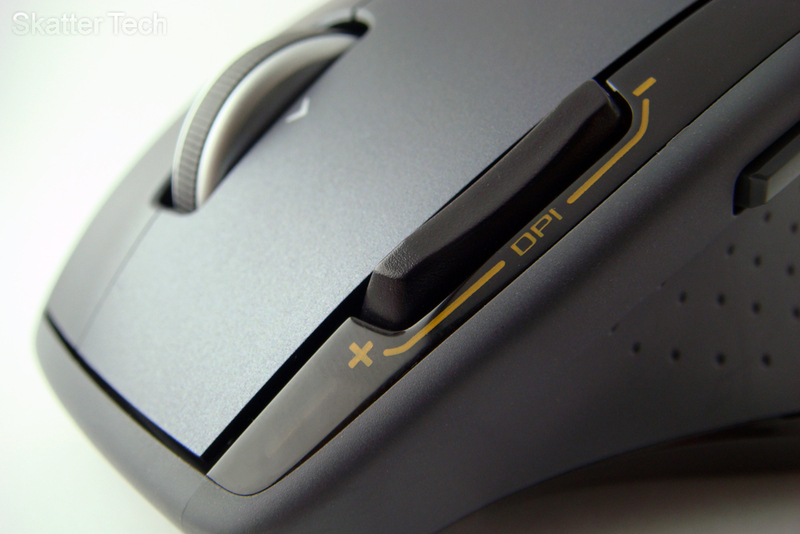 The MX 1100 is also quite accurate, movements are almost flawless and the adjustable DPI doesn’t disappoint. Hard-core gamers will probably still complain about accuracy, but for most consumers this will end up being the most accurate mouse they have used. That doesn’t mean its bad for gaming, it was better than any of the mice I had and was excellent to use while playing a game of Counter-Strike. The way the mouse gets it’s juice is probably the only drawback. The Mouse runs of two AA batteries and Logitech claims it will last about nine months. 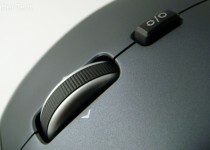 The mouse automatically goes into a power-save mode, however Logitech still says by using the “on/off button, you save even more power.” There is a battery indicator on the mouse that lights up when turned on, but fades away after a couple of seconds. A re-chargeable version of this mouse is available, however it can only be purchased as a part of a Cordless Desktop Wave Pro keyboard-mouse bundle. Unfortunately we can’t test the mouse for nine-months, but from experience I can say that the lifespan could be much shorter or longer based of how many hours it gets used each day. 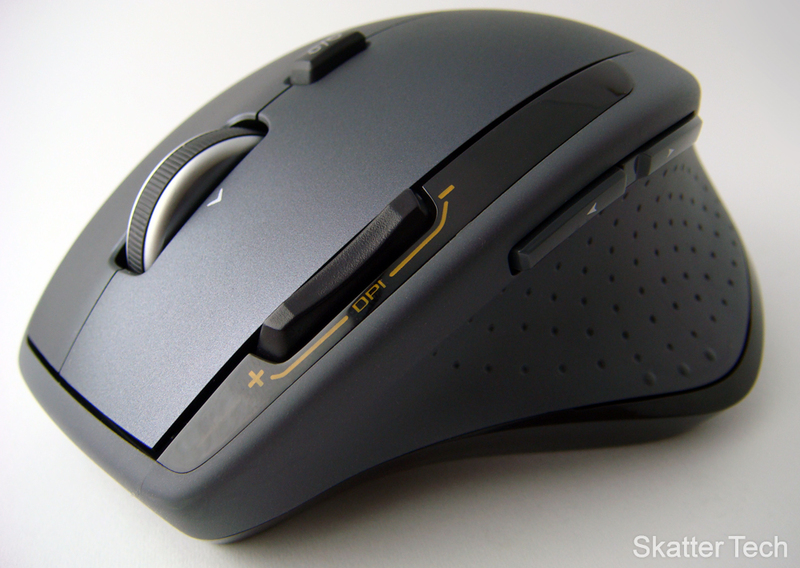 Overall, the Logitech MX 1100 is a top-of-the-line mouse and is probably one of the best ones I have used to date. It is extremely comfortable, completely customizable, and just works. If you do happen to be a “lefty” (left-handed), you are out of luck. It would be quite difficult to use this mouse comfortably with a left hand. For a retail price of $79.99, while being available for as low as $65 online, it’s affordable and offers just about everything you could ask for. I only wish it was rechargeable, but despite that most owners will be truly satisfied by what Logitech’s MX 1100 has to offer. Amazon says 2-4 weeks. I wonder if it’s available sooner anywhere else? I don’t mind even paying more. Anyone? hey if anyone is looking for a laptop and an XBox theres this great site i stumbled on the other day. check out http://www.campushp.com/promo. you get a $200 rebate for the XBox so because i got the XBox Arcade it was free. No catch or anything but i guess its only for college students so u need a .edu email but if u arent in school im sure you have a friend who is. I have one of these mice. They work OK, a little pricy. I’m not fully satisfied with this mouse. I bought it a few days ago and I have a major problem with the laser sensor being too far to the front. This makes it pretty hard to make accurate small movements with the cursor. 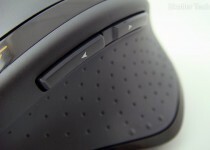 In my opinion the sensor should be in the middle part of the mouse. When I do small accurate movements, I tend to move the middle part of the mouse and when the sensor in in the front, the cursor wont behave properly. tgrr is soo right, I got this mouse as a replacement from logitech after I nagged them about the poor state my mx1000 was in after only a year. If I really would have bought this mouse, I would immediately return for idiotic engineering. Small movements tend to get jerky with the sensor up in front.